If you’re the proud owner of an Apple laptop, there’s a good chance that you’ve thought about buying an extra charger for it. A quick look at your local retailers and online stores will net you only an official charger from Apple. This is because Apple has a patent on the MagSafe adapter, which prevents any manufacturer from creating one. 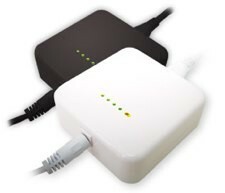 Despite this, FastMac has managed to release their own charger that works with many Apple notebooks. Of course, getting around the patent issue means that they had to cut some corners. Actually, it was really one major corner that was cut. Apparently you can only charge the batteries with this unit, you can’t actually plug it into the laptop directly. I suppose this could be useful for those with a spare battery, but that’s about it. At $69.95, you’re really only saving around $10 by not going with the official Mac gear.